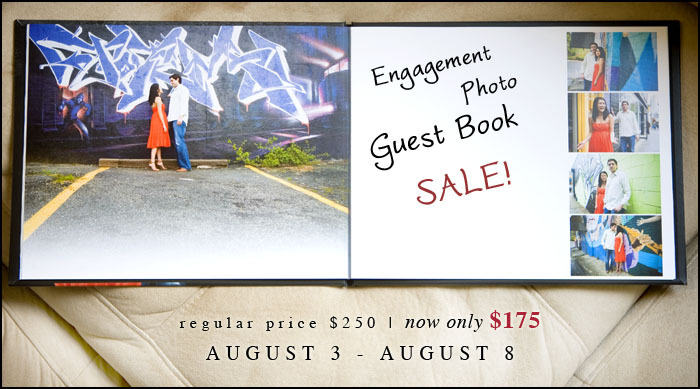 True Expression Photography Blog: Photo Guest Book Sale! Remember those awesome new engagement photo guest books I blogged about a couple weeks ago? Well, this is your chance to snag a book of your very own for only $175! Have a session scheduled for the fall? No problem! Even if I haven't shot your engagement photos yet, you are still eligible for this promotion. You may order the book this week at the sale price and your book will be designed and delivered to you after your session takes place. Books are regularly priced at $250. Sale runs from August 3 - August 8. Enter your email address below if you would like to be notified of future sales and promotions!